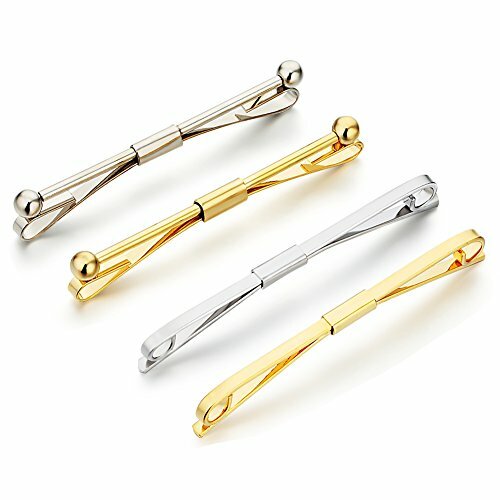 Color: 2 pcs Gold and 2 pcs Silver Size:2 pcs x 2.20 Inches (L) and 2 pcs x 2.36 Inches (L) AnotherKiss men's fashion tie collar bar pin set, not only can improve the grade of the man, more can reflect the modern fashionable breath.Tie collar bar pin has the characteristics of both formal and fashion, is more of a neat, relaxed feeling. 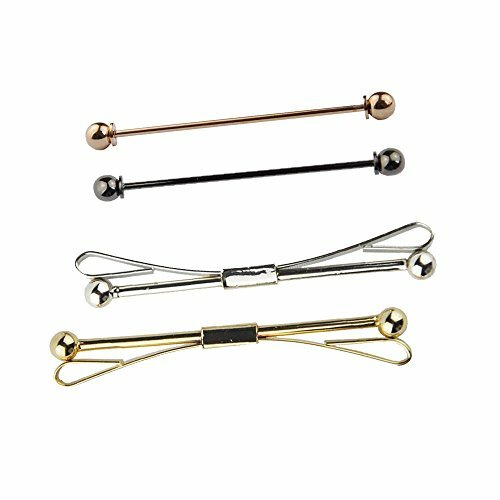 Now the stylish men began to like to wear with jewelry accessories, the tie collar bar pin in today looks very smart. 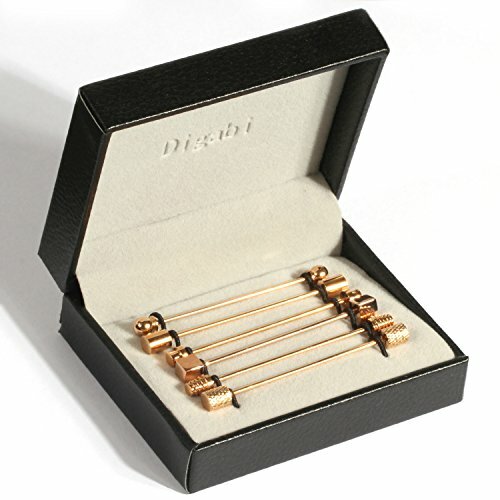 Using a variety of materials and a variety of modelling manufacture stickpin let men have more personalized options. You can wear it in any occasions (Valentine's Day, Christmas, Easter, anniversary, engagement, party, meeting, dating, wedding, daily wear, etc) and it makes you eye catching. It's Ideal gift for your husband, lover and friend. 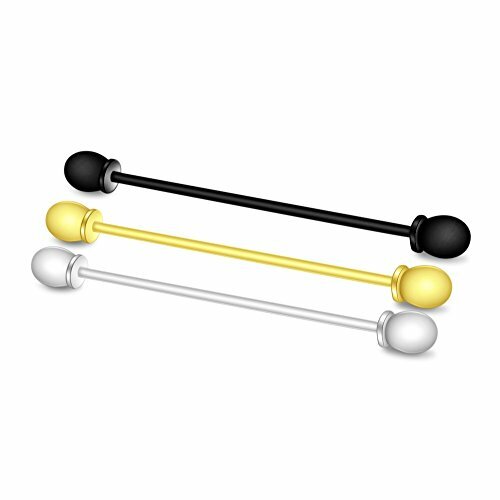 Tips: This is tie collar bar pin is used in normal shirt between the collar. Note: Due to differences between monitor displays, actual color may vary slightly from image. 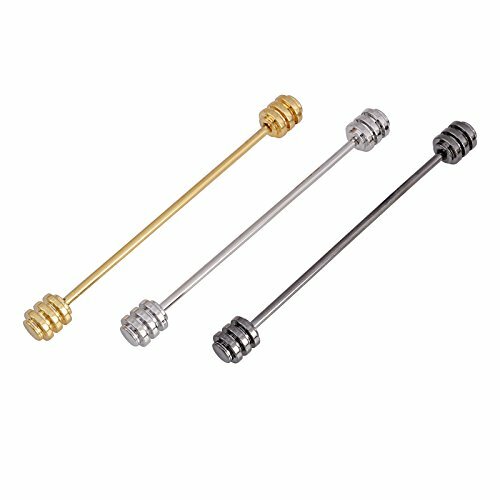 Your Reliable & Best Choice of Fashion Jewelry by AnotherKiss AnotherKiss classic men's tie collar bar pin set, not only can Improve the grade of the mens, More Can Reflect the modern fashionable breath, show men's calm and charm. 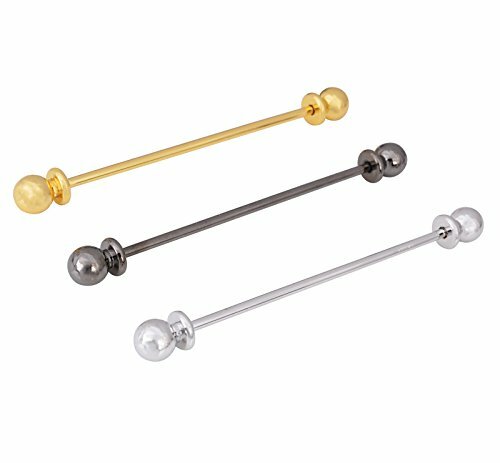 * AnotherKiss classic men's tie collar bar pin set has the characteristics of both formal and fashion, is more of a neat, relaxed feeling. It's easy to match with your shirt. * Three layers of silver plating for strength and fine polished, high quality electroplate technique made by hand. Delicate design and graceful shape. * It will be a special gift for men, you can wear it in any casual and formal occasions and it catches people's eyes. It's an ideal gift for your lover and friend. 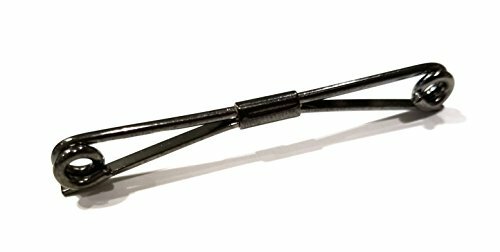 * Special and classic design, with finish surface with uses the excellent electroplate technique which guarantees long-time color retention. It is perfect to keep as a daily jewelry. let you become the focus all the time. In today's modern world of hi-tech gadgets and fast-paced living, it's sometimes hard to spot some of the detailed intricacies from days passed, like this gorgeous and sturdy collar bar. However, if you slow down a bit and look around, you'll probably find a few people who stand out from the rest simply because of their attention to the details of their wardrobe. Those unique individuals are who we kindly refer to as our patrons, and we'd love for you to be among them. Add a slight touch of color and flair to your outfit. 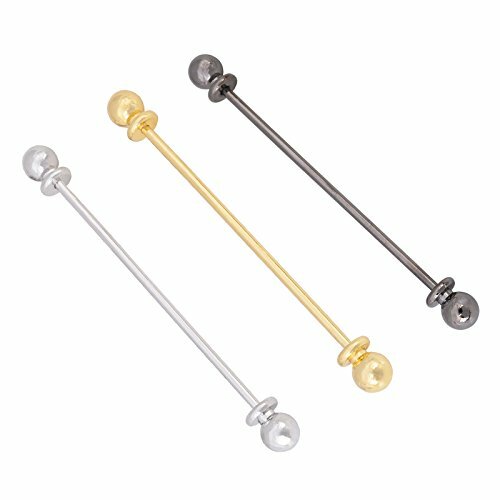 These collar bars are perfect for finishing off any look. Made from brass and built to last. 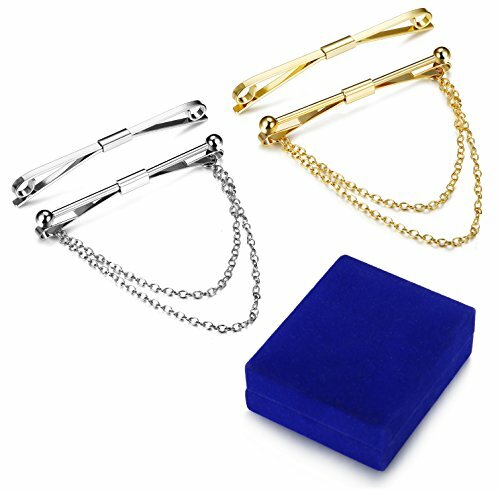 These will hold firm to your tie and shirt. Unscrew the end caps to attache to your shirt collar. Our bars slip on smooth and stay there. Try one out and you'll want every color we offer. Merit Ocean:Your Reliable Choice of Fashion Jewelry Merit ocean are specialized in cufflinks Tie Clips & Bow Ties Tie Pins for many years and they have many kinds of classic and unique styles.All the material they used are high quality and all the products must be checked for several times before shipment.They always commit to let every customer to enjoy the high quality products and paid for reasonable price.Features: Color:black,golden and silver Material:Stainless steel Quantity:3pcs Size:length:6cm(2.36inch) Great to decor your shirt collar, make you more handsome. It is also a best gift for wedding and birthday party or any special occasions.Service:If you are not satisfied with the product when you received it,please contact us,we will make things good. (return the product or fully refund)I understand how angry when get an imperfect jewelry,that's why we promise 90-Day Money Back Guarantee on all our goods, to this set of cufflinks and studs, we promise lifetime guarantee,but pls contact us and let me know your feel. As a merchant on Amazon, we insist on be honest and kind. Communication could resolve 100% misunderstanding，and 99% Vicious circle，would you like to help on this ? 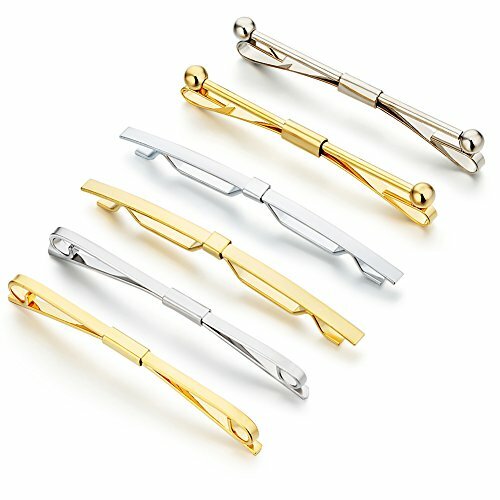 Compare prices on Collar Tie Bar at ShoppinGent.com – use promo codes and coupons for best offers and deals. Start smart buying with ShoppinGent.com right now and choose your golden price on every purchase.